Nancy Dunn-Kato is a very well respected golf instructor, one ot the top junior golf instructors in the country. In our interview she talks about the gamification of teaching the golf swing; how she makes these simple little games to help kids learn the golf swing. There’s a movement in education about gamification, working to make the learning experience more fun and enjoyable. 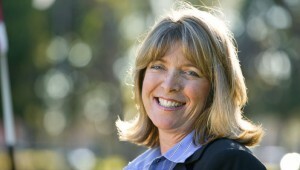 Nancy Dunn-Kato has been a Certified Class A LPGA Teaching & Club Professional Member since 1989. She has played and taught golf for over 24 years. 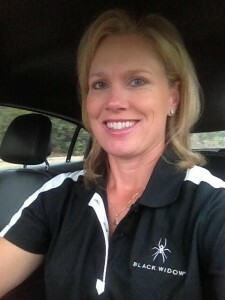 Nancy’s company SWINGplay and its concepts are a direct result of her dedicated work with junior golfers and a real, practical, understanding of what works best. SWINGplay’s unique programs are specifically designed to focus the learning needs of young and adult golfers at all levels from beginner to advanced players. The SWINGplay systems and methods reinforce the play in golf – to keep the learning experience fun, positive, and filled with success that grows naturally out of children’s play. Skill and ability grow quickly through the game-play! It’s obvious that Nancy really understands the golf swing, and how to teach the golf swing. She made a lot of good points; young golfers teaching other young golfers how to play the game and how young kids can teach parents and how valuable that can be and how you can bring the family together. The thing she talked about that I want to expand on is making the golf swing fun. She talked about breaking it down into little smaller components, and then teaching that in a fun game type of way – gamification. She’s talking about making rainbows, knocking out shark’s teeth, dragons, Leprechauns, shooting spray guns. I’ve actually had a chance to see some of the stuff she is talking about and it’s very cool. I can see how young people can accept and understand it all very quickly because of the way she sets up these little games. In education, we get so much information from so many different resources. Before the internet, teachers were more on their own. Now, there’s someone like Nancy who creates this killer program about how to teach the golf swing to young kids. She can take that and give that to golf instructors across the country and they can understand. I think this gamification of learning coincides with our social culture and the way that we are able to share knowledge today. It really enhances the learning experience, I think education needs to go that way. Having a teacher that stands in front of a class and lectures is like if Nancy were a golf instructor that stood there and just tells you what you’re doing wrong. Versus, talking about rainbows and dragons, you can imagine the difference that would have on a little child. You can teach the golf swing, just like you can teach anything else, through this gamification process. What do you think about this gamification process? Nancy got involved in golf in college when a couple cute guys invited her to play at Torrey Pines. She borrowed a pair of clubs that morning and finished the day with a couple pars. When she told her golf buddies it was her first day, they were impressed. She checked out the golf scene and had the idea to become a pro in one year. She found a golf instructor, worked hard and reached her goal in a year and a half. She made several mini tours and was on the top ten list. After her swing, put a coke can on her pitching wedge and she had to balance it, that was the start of all the games she began creating. It was about finding a way to make it fun after the lesson so she could understand it. She got to train with Derek Hardy, who taught her a lot, she could have gone on and qualified for the tour, but she wanted to get better and shoot under par more often, but that wasn’t happening. She changed her path. She joined the LPGA, started as an apprentice, and was able to move up. She was lucky to be able to study under Chuck Hogan. 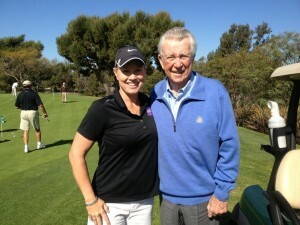 He was part of the LPGA teaching them how to become better teachers. He was all about making things fun, and to do it through games. When she asked him how to be a better teacher, he said don’t just tell people what to do, they need to know why they should do it. She started on a path where I broke down the whole game. She took every part of the game and separated it into modules. Then broke it down into simple understandable sensory perception with a skill game, a sound game or anything with the senses. She uses story telling. With young kids she teaches them how to make rainbows and their club is the paint brush; there’s all kinds of different rainbows for the different golf swings. She is telling them how to make rainbows, but they’re learning about a golf swing. Kids have hands-on experiences and they become more self aware. They get to experiment all through play and self discovery. The kids have a great time. They’re learning and they don’t even know they’re learning. That’s the fun part. She says, the educators of the world, they get it. It’s the 21st century of learning; it’s more hands on and discovery, let the people figure it out for themselves. I’ve had high school kids and college kids help mentor these younger kids with table top projects. These kids get to be mentors and as they are helping the younger kids they are learning too. What do you enjoy most about teaching golf? Watching people’s reaction when they get it. What life lessons and values do you think golf teaches? Patience, love, respect. One thing about a golf course is, it’s like a park, it’s green and beautiful. Teach them to pick up trash and take care of the golf green. It’s a place where kids can go and be in nature. 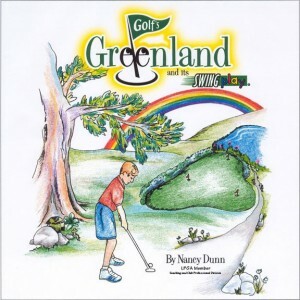 Her book, Golf Greenland, is a 4 hour lesson all about putting, through story-telling and games. The fundamentals you learn in putting just go larger as you go up the game. She wants to find a good home for her program. She’s really excited that Newport Beach YMCA is excited about it. She’d like to see it at more places libraries, schools, and places like restaurants. Maybe even try to standardize golf using everything she has created, make it more fun and get more people involved. 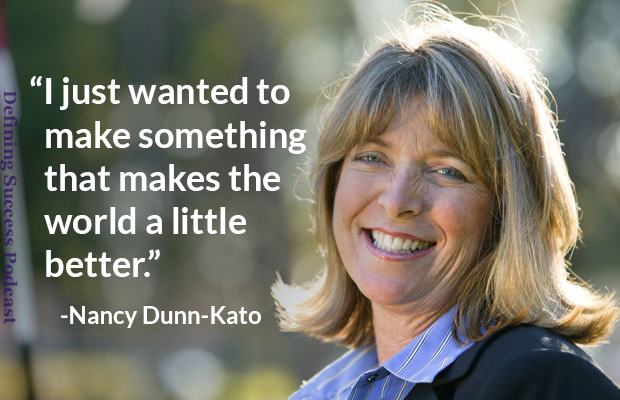 This entry was posted in Episode 076: Gamification Makes Learning The Golf Swing Fun | Nancy Dunn Kato Published Author and CEO at SwingPlay.com and tagged Author, Defining Success Podcast, Education, game-play, Gamification, Golf, Golf Instructor, Golf Swing, Golfers, Golfing, mentor golf, Nancy Dunn-Kato, Social Golf, Success Quotes, SwingPlay, Teacher, teaching, Teaching Golf, toddler golf, Young Golfers, Youth Golf, Zeb Welborn on April 21, 2014 by Admin. Johnny Hakim from Greenskeeper.org shares his insights on how to make a customer feel like they are a part of your business and how he uses that to keep customers for longer and become active promoters of his business. Learn how to create raving fans by making your customers become a part of your business and learn how to manage your online reputation in Episode 35 of the Defining Success Podcast. 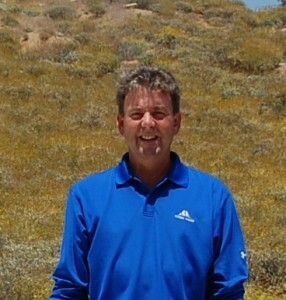 Johnny Hakim (JohnnyGK) is the owner of Greenskeeper.org. Greenskeeper.org is a free online community and golf social network providing golf course review, aeration alerts, overseeding schedules, photos, specials, tee times, score tracking, outings, product reviews and more. Greenskeeper.org started back in 2000 and Johnny was doing record promotion and he was always golfing on Wednesdays. There was too many times where he encountered golf courses that were doing aeration that he decided to see if there was any place online that was giving golfers aeration alerts. He couldn’t find anything. While he was doing this record production he decided to make his own website and wanted to do more with it. He interviewed some programmers and found what he was looking for. He’s been inspired ever since. 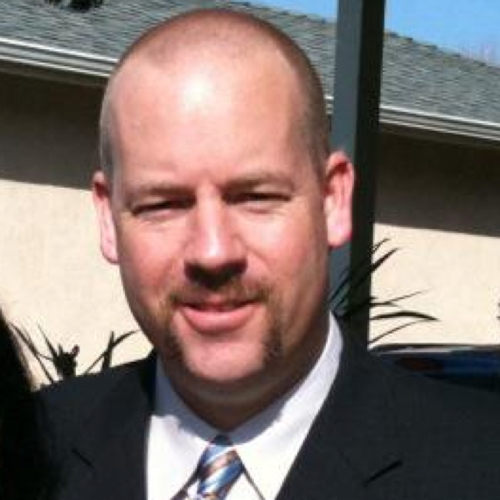 His website started working in Ventura County, Los Angeles County, Orange County, and once he put those up other places were asking for it including San Diego County, Riverside County and San Bernardino County. A lot of people highlighted their appreciation of the program and loved what Johnny has been able to do at Greenskeeper.org. Johnny has set up his website and it has pretty much spread organically since its inception. People come up to him all the time and tell him how wonderful the site is and how much they love what he is doing with Greenskeeper.org. When Johnny started his website, he just wanted to let people know about the aeration schedules at golf courses. But, he knew that the website was a work in progress. The users have helped determine the direction of the website and all the things you see on the Greenskeeper.org website comes from the users themselves and suggestions from golf course owners. Right now, the website revolves around the “GKer” the people who are giving back and helping others understand the condition of local golf courses. Johnny’s website gives people an opportunity to share their experiences at golf courses, for the benefit of those who are involved in the game. Most people come to Greenskeeper.org to read the golf reviews. People use Greenskeeper.org for aeration alerts, they use a score tracker, they are now using the community forums where people can discuss and share their thoughts about golf and local golf courses. One of the biggest challenges Johnny had faced in building his business was actually making money. When he started the site, he was hoping that golf courses would be eager to advertise on his platform where he was reaching enormous amounts of golfers. The problem was that the golfing industry was way behind the times when it came to their online presence. The biggest problem Johnny sees in the golf industry is that they are not adapting to the changing world. They are still marketing traditionally and are not investing in the online world and are losing to competitors who are taking advantage of the opportunities available online. In order to succeed golf courses need to control their online presence and promote themselves online. The people who are going to succeed are the ones who are looking into the future and not the ones who are holding on to the past. This is probably the biggest reason why golf courses are failing today. 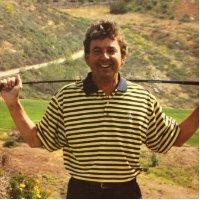 On the Greenskeeper.org website golfers can leave reviews on golf courses all over the United States and one of the things Johnny has had a hard time doing is convincing golf courses to reach out to the people that are playing their course and say thank you. By being proactive on the Internet and thanking those people who have played the course, you are creating an opportunity for massive word of mouth promotion. By responding to criticism or thanking people for using your business. You are now able to show that you are being authentic and that you genuinely care about your customers. Before the Internet, each customer was valuable, but now, other customers can see how you treat your customers in a public forum and they can connect with that. The large majority of people who visit Greenskeeper.org are not the people who are leaving the reviews. They are what Johnny calls, lurkers. They visit the site to get information about golf courses and then make decisions about the golf courses they plan on playing from there. So, even though there are only a few recommendations on the golf course pages themselves, those reviews are being seen by hunderds and, in some cases, thousands of golfers. Monetizing Greenskeeper.org has been no easy task. Johnny has spoken with golf course owners and decision makers for years trying to understand their needs and figure out how he can service those needs with his website and it has been a struggle, but he has come up with a solution that works. Golf courses are now using Greenskeeper.org to highlight their golf courses on the website for a small monthly fee and the golf courses who utilize these features have experienced a lot of success. One of Johnny’s greatest moments working at Greenskeeper.org was recently when he set up his first golf outing for golfers in Central and Northern California. Many people in the GK community took part in the tournament. They came together and had a great time. How do you make your customers feel like they are a part of your business? Do you think the Internet and online marketing can help in word of mouth marketing? How do you handle reviews about your business? 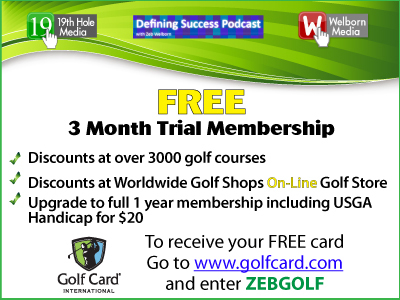 Visit 19th Hole Media to sign up and get access to free golf cards from Golf Card International . . . normally $60. 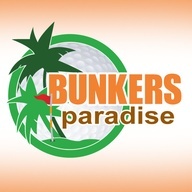 This entry was posted in Episode 035: Making Your Customers a Part of Your Business | Johnny Hakim from Greenskeeper.org and tagged 19th Hole Media, Aeration Alerts, Business, Central California, Customers, Defining Success Podcast, Free Golf Card, Free Golf Cards, Gary Vaynerchuk, GKer, Golf Card International, Golf Course, Golf Course Reviews, Golf Courses, Golf Social Network, Golfing, Golfing Industry, Greenskeeper.org, Hustle, John Hakim, Johnny Hakim, JohnnyGK, Los Angeles County, Lurkers, Making Your Customers a Part of Your Business, Northern California, Online Presence, Orange County, Outings, Overseeding Schedules, Photos, Product Reveiws, Riverside County, San Bernardino County, San Diego County, Score Tracking, Specials, Tee Times, Ventura County on July 22, 2013 by Zeb Welborn.